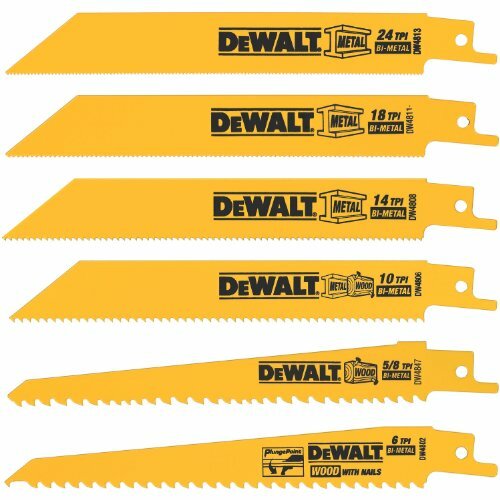 Use the DEWALT DW4856 reciprocating saw blade set as the perfect addition to your cutting needs, featuring compatibility with all reciprocating saw brands. Intended for a broad range of applications including metal, plastic, wood, and drywall, these blades provide just what your job needs in a handy 6-piece set. Grr-ripper 3D push Block a must-have for any table saw user. it's essential for superior precision, control and safety on your table saw and other major woodworking machinery. Protect your hands like never before, virtually eliminate kickback with unmatched control, and guide and rip With surgical precision. the powerful green grr-rip gives you a commanding hold over the work piece for total control. grr-ripper has three legs to give you three-directions of control on the keeper and off-cut work piece. It provides downward pressure to virtually eliminate kickback, inward pressure to keep the stock against the fence, and forward pressure to prevent burning. stabilize your cut with the built-in balance Support to square your cut and safely handle the smallest parts of wood When cutting on the table saw or router Table. Rip as accurate as a 1/4" Standard without readjusting the fence. the adjustable center Leg accommodates for a variety of different sizes and widths of material while the grip secures a virtually unlimited variety of woods, solid surfaces, aluminum or even plastic. Grr-ripper handle can be angled and adjusted for your comfort and control. grr-ripper videos feature over 30 unique uses on the table saw, router Table, jointer, and band saws. the powerful hold, extreme accuracy, and versatile adjustability will help you maximize your materials and greatly improve your protection against dangerous accidents. don t use a Table saw without it. watch the action video and add to your cart today! 100% satisfaction guarantee. Made in USA. A true MICROJIG Innovation. Extended 3-Year Warranty. 100% Satisfaction Guaranteed. Brand: MICRO JIG | Manufacturer: MICROJIG, Inc. It is not advised to use the switch lock feature on any grinder. Doing so may result in serious injury or even death. 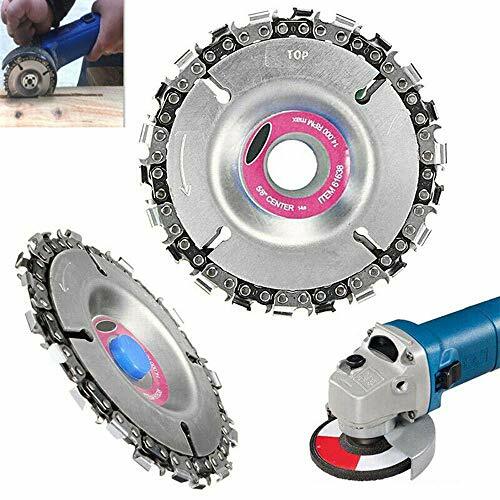 Angle Grinder Disc Chainsaw takes the muscle work out of cutting, carving, removing and sculpting of wood, plastics, ice and hard rubber with their speed and maneuverability. The chain saw blade is held in place between two steel plates which provides a secure grip for carving. Regardless of grain or knots the blade cuts through the material with ease to the user. Our 22 tooth design provides a smooth finished surface which is great for minimal sanding afterwards. This grinder chain disc is great for curved work, like the inside of bowls, for fast waste removal. Whether you're cutting hardwood, softwood, plywood, or chipboard, the DEWALT DW3128P5 80-Tooth 12 in. Crosscutting Tungsten Carbide Miter Saw Blade - 2 Pack, helps you make quick, smooth, and accurate cuts. Featuring two thin kerf, carbide blades, one with 80 teeth and one with 32 teeth, this set gives you a pair of great options. Both blades feature a wedge shoulder design that puts an increased amount of steel behind each blade tip to prevent breakage and ensure precision, along with a computer-balanced plate that acts to reduce vibration for a better feel and finish. 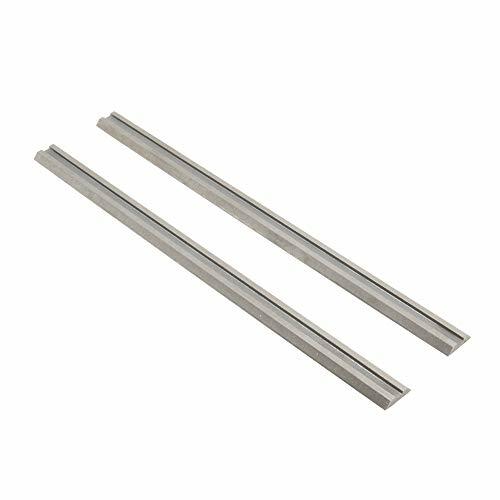 These blades are built for use with miter saws and slide miter saws. Whether you're cutting hardwood, softwood, plywood, or chipboard, the DeWalt DW3128P5 12-inch miter saw blade set helps you make quick, smooth, and accurate cuts. Featuring two thin kerf, carbide blades, one with 80 teeth and one with 32 teeth, this set gives you a pair of great options. Both blades feature a wedge shoulder design that puts an increased amount of steel behind each blade tip to prevent breakage and ensure precision, along with a computer-balanced plate that acts to reduce vibration for a better feel and finish. These blades are built for use with miter saws and slide miter saws. 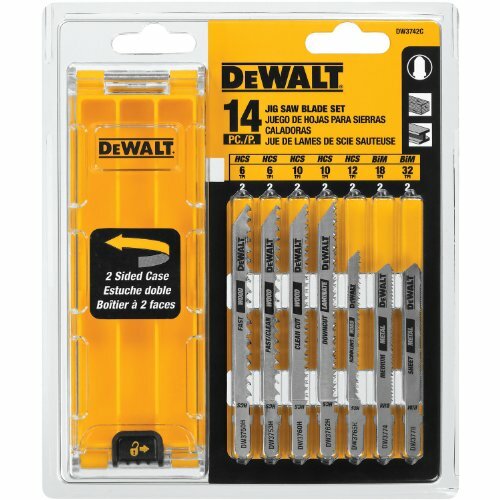 ACCURATE CUTS: DEWALT DW3128P5 80-Tooth 12 in. Crosscutting Tungsten Carbide Miter Saw Blade - 2 Pack, helps you make quick, smooth, and accurate cuts. Ideal for all cutting in softwood, hardwood, chip board, or plywood. Thin kerf for fast and smooth cutting action. Computer balanced plate reduces vibration for improved accuracy and better finish. 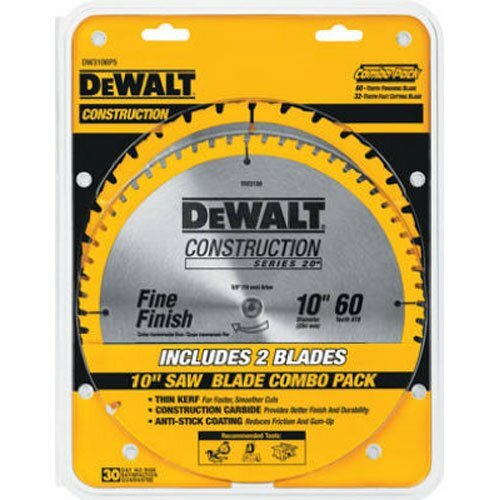 The DEWALT DW3106P5 saw blade combination pack contains a 10-inch DW3106 60-tooth fine-finish blade and a DW3103 32-tooth general purpose saw blade. Perfect for miter saw and slide miter saw jobs with softwood, hardwood, chipboard, and plywood, these slim-kerf blades offer quick and even incisions with minimum excess debris. A patent wedge shoulder places additional steel in back of every tip, maximizing strength and precision. Get the cutting action you need at the right price with this heavy-duty combination pack. Thin kerf for fast and smooth cutting action and The arbor size is 5/8. This wood cutting carbide saw blade is excellent for general purpose ripping, crosscutting and finishing of various wood materials and products. Thin kerf allows a smooth finish with minimal material waste. Excellent for use in cutting softwoods, hardwoods, plywood, decking, and wood composites. Ideal for cutting Hard Wood, Soft Wood, Exotic Wood and Abrasive Wood. Thin kerf allows a smooth finish w/ minimal waste. Lower hook angle improves the surface quality of the cut, increases the feed pressure required. 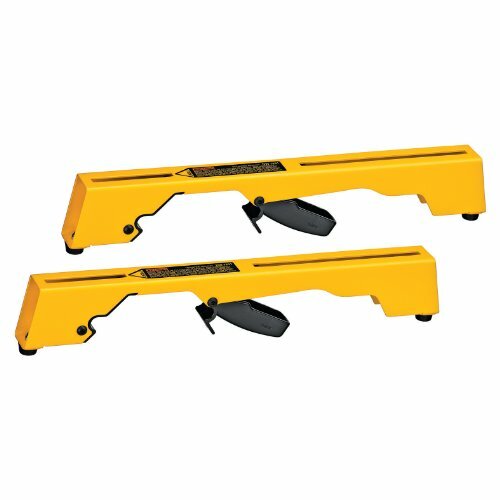 Designed for use with the DW723 Miter Saw Workstation, these DeWalt DW7231 Miter Saw Workstation Tool Mounting Brackets feature non-marring feet on the tool mount that will not scratch material. 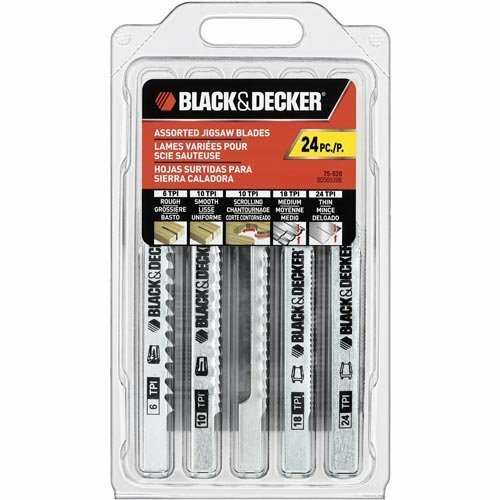 Black & Decker 75-626 Assorted Jigsaw Blades Set, Wood and Metal, 24-Pack - SILVER COLOR WITH HOLES - Stanley Black & Decker is a world-leading provider of tools and storage, commercial electronic security and engineered fastening systems, with unique growth platforms and a track record of sustained profitable growth. Great projects start with high-quality cuts, and you can make those cuts more easily than you ever imagined using your circular saw plus the Rip-Cut Circular Saw Edge Guide. 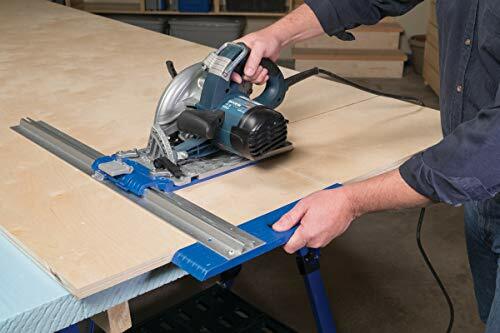 The Kreg Rip-Cut turns your circular saw into a precision edge-guided cutting tool that makes straight, accurate, repeatable cuts in plywood, MDF, and other large sheets. With the Rip-Cut, you can cut with the confidence you want and the precision you need. The Rip-Cut easily makes straight, accurate, repeatable cuts without measuring, marking, or having to keep the saw on the cut line. The Rip-Cut does this with a long edge guide that follows the straight edge of the sheet you are cutting. So, all you have to do is lock the saw in at the measurement you want up to 24" using the built-in measuring scale, and then make your cut. With a built-in measuring scale, you don t have to measure and mark each cut, either. Just lock the saw sled at your desired cut width, and you're all set, whether you need to cut one piece or make multiple pieces of the exact same size. Plus, the Rip-Cut makes it easier to cut down large sheets by yourself. The Rip-Cut is very easy to use. Simply mount your saw to the universal sled it accepts most left-blade or right-blade saws and then slide the sled onto the aluminum rail. After a simple one-time calibration, you can lock in your cut width (up to 24") using the measuring scale and precision cursor. Then, just hold the edge guide against the edge of your sheet as you guide the saw. You ll get straight, accurate, repeatable cuts easily every time. with super-simple setup, precise accuracy, and amazing control. The Accu-Cut guides your circular saw along an aluminum track that keeps the saw moving in a straight line easily. The Accu-Cut design makes it simple to set up by just aligning the track with your cut line. No clamps are required to hold the track in place thanks to dual guide strips. They feature an anti-slip coating to prevent slipping, and an anti-chip feature to prevent splintered cuts. Plus, the track makes it easy to make straight cuts on sheets that don't have a straight, flat edge. Circular saws don t have effective guides that keep them moving straight along a cut line. Plus, it can be difficult to see the blade s cutting path. Together, these things make it challenging to keep a saw on your desired cut. Circular saws also often cause splintering of face veneers. The Accu-Cut solves these problems. The Accu-Cut is portable, too, so you can take your saw to the workpiece and cut with precision, rather than having to handle heavy sheets on a table saw. The Accu-Cut is easy and intuitive for a novice to use, but robust enough for professionals. Because it eliminates the need to keep the saw straight and manually guide the saw along a cut line, the Accu-Cut is ideal for less-experienced users. Accu-Cut also makes professionals faster and more productive because it makes a variety of cuts quickly and easily in the shop and on the job site. 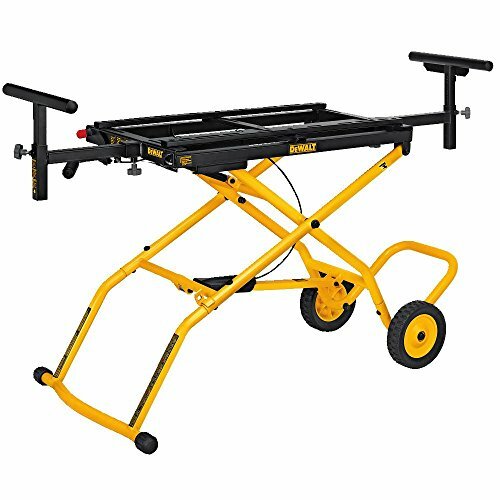 View larger View larger Durable Work Support Stand DEWALT s DWX726 Rolling Miter Saw/Planer Stand allows for easy jobsite mobility thanks to its wide rubber wheels and fold-up design. The DWX726 is designed for a variety of contractors including cabinetmakers, trim carpenters, framers, installers and many other professionals who are tasked with using a miter saw on the jobsite. With three-position pneumatically assisted raising and lowering, the DWX726 is easy to assemble to minimize downtime. The unit is also durable with a tubular steel construction that allows for 300 pounds of maximum weight capacity. The mounting rails are easily adjustable, and they can adapt to nearly any miter saw on the market. Additionally, the stand offers wide adjustable infeed and outfeed work supports, which provide up to 8 feet of material support. Weighing a manageable 67 pounds, the stand is 98 inches long and 32.5 inches wide when it is unfolded. To save space, the unit folds vertically and measures only 59.5 inches by 17 inches. Miter saw not included. Key Specifications Tool Width - Extended: 98 inches Tool Height - Extended: 32.5 inches Tool Width - Folded: 59.5 inches Tool Height - Folded: 17 inches Tool Weight: 67 pounds Shipping Weight: 75 pounds About DEWALT DEWALT is a leading manufacturer of industrial power tools and accessories, including corded and cordless drills, saws, hammers, grinders, routers, planers, plate joiners, sanders, lasers, generators, compressors, nailers, saw blades, metal and masonry drill bits, abrasives, screw driving accessories and more. DEWALT tools can be found nationally and internationally, wherever tools are sold. With more than 1,000 factory-owned and authorized locations, DEWALT has one of the most extensive service and repair networks in North America. Top-down installation lets you keep your sled square to the fence while you secure the ZEROPLAY Miter Bar for a hassle-free setup and precision cuts. Fits any standard 3/4 x 3/8 T-Track Miter Slots, ShopSmith, and General 350 Tracks. Includes ZEROPLAY Miter Stop, a reliable and precise hold-down anchors for table saw tops and miter T-tracks. Build custom hold-downs for T-TRACK miter slots. Perfect for accurate repeat cuts for sliding table saw sleds. A must-have for clamping, slotting, stopping, and more. Use for point A and B stops for slotting. Locks woodworking jigs in position. Fits any standard 3/4 x 3/8 T-Track Miter Slots, ShopSmith and General 350 Tracks. Watch the Action Video and Add to Your Cart Today! 100% Satisfaction Guarantee. Work Safer. Work Smarter. GRR-RIPPER Advanced 3D Pushblock is the ultimate in safety, precision, and control. A must-have for any table saw user. Essential for protection against injury, virtually eliminating kickback, and controlling your work piece large and small accurately. Guide and rip along the rip fence using the powerful gripping non-slip surface to control the stock through the cutters. Rips down to 1/4" standard without readjusting the fence. The Adjustable Center Leg accommodates for a variety of sizes and widths. 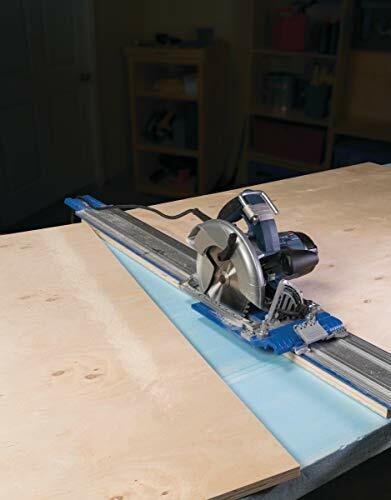 Built-in Balance Support Stabilizes for narrow and small work pieces on the table saw and router table for safer, straighter, and cleaner cuts. The Handle is adjustable for ergonomic comfort. - Includes 2 additional accessories: the Adjustable Spacer and the Stabilizing Plate. - The Adjustable Spacer - This accessory adds increased gripping surface for tackling larger stock. It also adds one inch of cutting width to the GRR-Ripper. Also, acts as a secondary balance support for small stock and straight-line ripping. Great add-on for working on the Router Table, and eliminating snipe. - The Stabilizing Plate - The Stabilizing Plate adds a new dimension of control to the GRR-Ripper. It is particularly useful when cutting small narrow pieces of stock. Perfect for trickier cuts like resawing, bevel edging, pattern routing, and much more. - The Stabilizing Plate also performs as the secondary fence that travels with the GRR-RIPPER along the left side of the stock. It holds the off-cut piece in its original position through the entire cutting operation. Without binding the operation, it provides enhanced stability over the cut and superior guidance along the fence. Made in the USA. A true MICROJIG Innovation. 100% Satisfaction Guarantee. Watch the Action Video and Add to Your Cart Today. Work Safer. Work Smarter. The BOREAL21 is a revolutionary 21 in / 53.3 cm folding bow saw that effortlessly unfolds in seconds for easy, high performance cuts. At 21inches, the blade's length is optimally sized for powerful sawing strokes, and yet short enough for packability. And the 3 hinged trapezium-shaped frame allows large diameter cuts. The blade safely fold into the frame when not in use, protecting you and your gear. 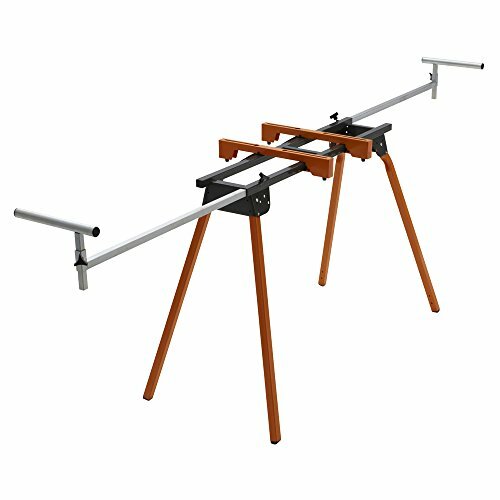 If you have a miter saw, then the PM-4000 folding miter saw stand is exactly what you need. Designed to work with nearly every make and model miter saw or chop saw, this strong, stable stand will allow you to setup wherever you wish quickly, easily, and safely. Whether it s a jobsite or your driveway, you ll appreciate being able to work exactly where you need to. This is a contractor grade miter saw stand, but priced for the homeowner. But don t let the low cost fool you this is a high quality piece of equipment, with tubular steel construction, and a whopping 500lb capacity, so you can handle the big jobs with ease. The quick attach mounts make attaching and detaching the saw simple, and the adjustable 13 tall material supports can be in or out to support material ten feet long. But here s the kicker it s not only lightweight, but it folds up for easy transport and storage, making this one of the most versatile miter saw stands on the market. An optional Wheel Kit is available (PM-7004) for added mobility, and extra tool mounts (PM-7002 20-in long and can be adjusted along the width to fit most saws) are also available allowing you to expand the use of your stand to other tools in your shop. A cut above - the Bora Porta mate PM-4000 is the best, most practical, hassle-free stand you'll find for miter saws or chop saws. Constructed of tubular steel with a powder-coated finish, This rugged yet lightweight saw stand can support up to 500 lbs. And is compatible with Miter saws up to 12 inches, including compound sliding saws. Cut out for convenience - setup is quick and simple, as the folding legs swing under the center portion and are secured by pins that snap into position. Stand folds up for easy transport, storage and carrying from your vehicle to the worksite. Folded size is 43. 5 W x 20 D x 6. 5 H and Weighs only 30 lbs. without a saw. 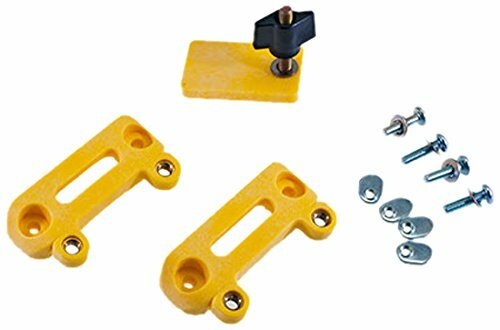 Switch gears & mount add tools - quick-attach saw mounts allow for easy mounting of your saw, as well as other tools which you can switch around, set up and take down quickly - hardware is included. Additional mount sets sold separately offer a wider variety of tools that you can use with your PM-4000 stand. Makes the cut - our PM-4000 saw stand was specially designed to provide the ideal ergonomic working height of 36 inches, so professional contractors and day's can work safely and comfortably while making cuts with absolute precision and secure stability. Any way you cut it - Buy with confidence knowing that you are backed by our 1-year . If for any reason, you're not 100% satisfied with your purchase, let US know, and we'll make it right. 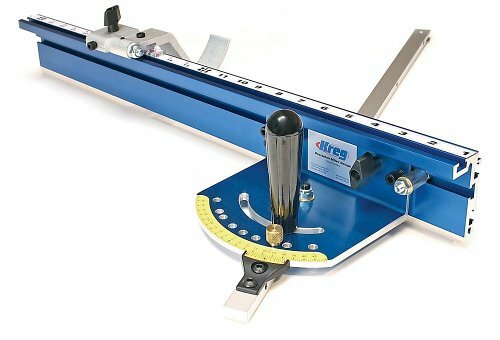 Cut perfect miters consistently with Kreg's Precision Miter Gauge System. A number of unique features makes this one of the most precise miter gauges on the market today. Factory calibrated accuracy starts with a gauge head that is machined on a computerized milling machine for absolute precision. An easy-to-read Vernier scale enables precise angle adjustments up to 1/10th of a degree. Five patented bar adjusters take up the play in the miter slot for a perfect fit. A 24" fence section with patented Swing Stop and self-adhesive measuring tape is included. Factory calibrated. 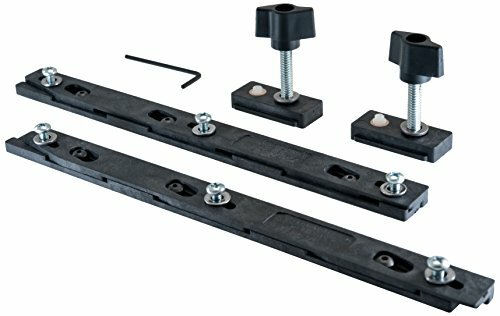 The GRR-RIPPER Handle Bridge Kit was developed to distribute even pressure to the entire surface of each Non-Slip Pad on your GRR-RIPPER by increasing the number of contact points when downward force is applied through the handle. 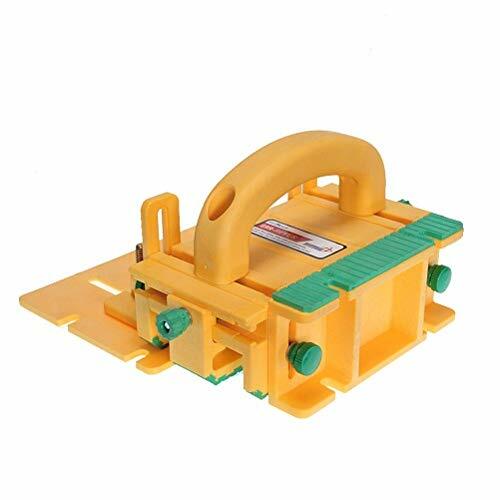 The installation of the Handle Bridge will provide increased control, improved balance pressure on the work piece, and virtually eliminate the need to adjust the location of the handle. Made in the USA. Angle handle towards the fence and virtually eliminates re-adjusting the handle. Includes bonus Trailing Hook for grabbing the backend of the workpiece and reducing tearout. GRR-RIPPERs sold separately. Made in the USA. The product is 4-1/2" HiPerf MAS Blade. Easy to use. The product is manufactured in China. 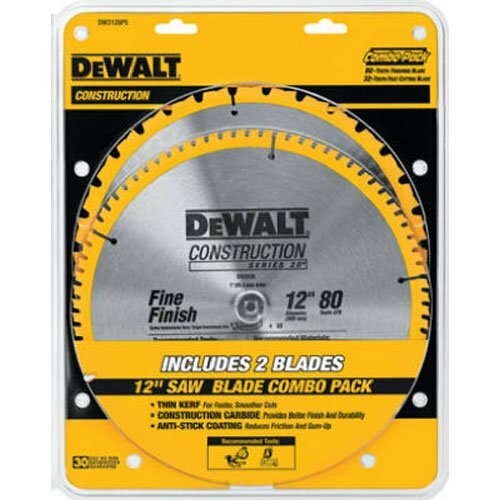 DeWalt's 4-1/2-Inch High Performance Masonry Diamond Blade provides long life and enhanced material removal. It has a thinner kerf to increase speed of cut while minimizing dust, and achieves 30 times longer life than bonded abrasives. This blade is best for cutting block, masonry siding products, and other masonry materials. It offers a faster cut rate at a constant depth, which is ideal for thinner and softer masonry materials. 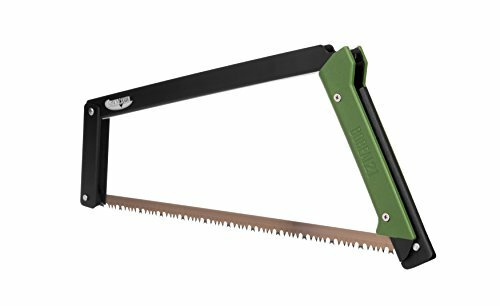 Built using the most advanced alloys and tooth designs, moother cuts,suitable for outdoor fast rough cutting of wood and pruning. That's why they let you produce faster, cleaner and more accurate cuts, time after time. This includes a durable, clear plastic storage box that can be opened only when pulled, not shaken. 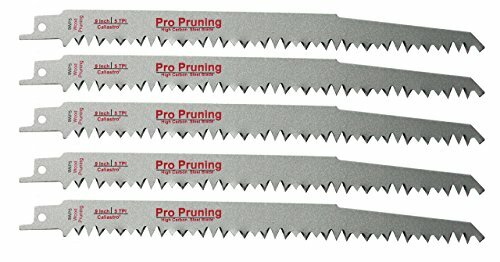 5 Pack 12-Inch Wood Pruning Reciprocating, 5 teeth per inch. HCS High speed carbon steel construction for faster cutting wood and added durability. Arbor size : 5/8 inch; Diameter: 4 inch; Fits For 4 inch or 4.5 inch Angle Grinder. Maximum speed (rpm) :25000; Wheel thickness: 0.2 inch. The 4/4.5 Inch diameter chain 22 tooth fine cut carver can cut in any direction while making smooth cut, providing a smooth "finished" surface which is great for minimal sanding afterwards. This grinder chain disc is great for curved work, like the inside of bowls, fast waste removal. Grinder disc chainsaw chains can be either be sharpened using a chain saw file or replaced as need be. Angle Grinder Disc Chainsaw takes the muscle work out of cutting, carving, removing and sculpting of wood, plastics, ice and hard rubber. SIZE: Diameter 4", Segment Height 3/8", Inner hole 7/8" or 5/8". 1. Professional quality for porcelain, ceramic, granite or natural stone tiles cutting. 2. 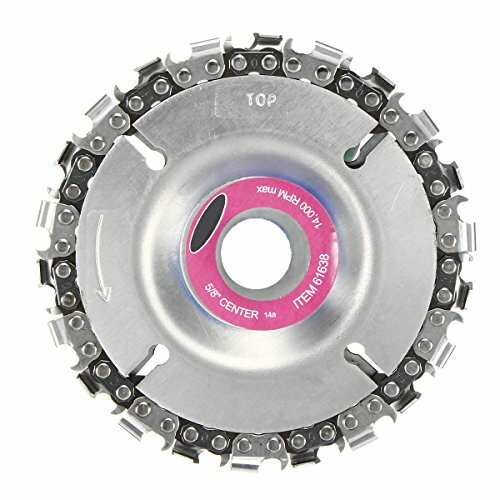 Unique mesh rim blade, X teeth offer fast and smooth cutting. 3. 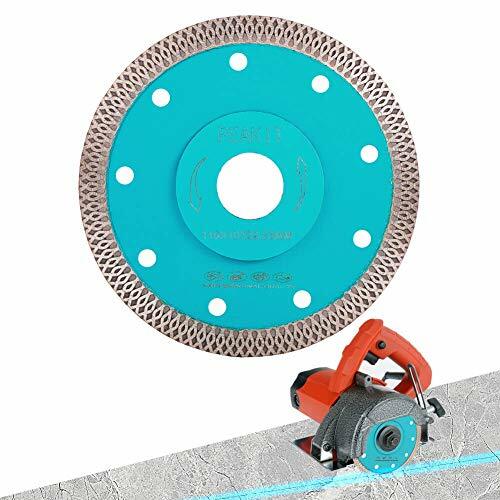 Hot pressed tile cutting disc provide long life. 4. Fits most tile saw and angle grinders with a 7/8"or 5/8" arbor. 14,500 RPM Max, available for both dry and wet cutting work. LIFETIME WARRANTY & FREE RETURN SHIPPING - All Peakit diamond tools like Diamond Blades, Coring Bits, polishing pad, Hole Saws and Grinding Wheels include a lifetime warranty against warping, cracking and material defects. 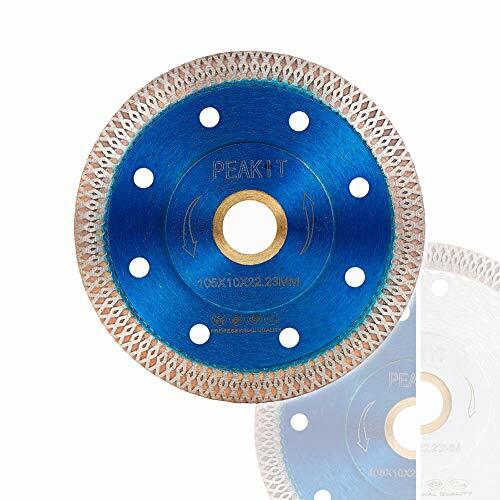 Peakit Super thin turbo mesh rim diamond blade provide fast, precise, smooth and chip-free cutting experience for you. Thicker center to avoid vibrations and wobbling. High Performance diamond matrix provides long life and enhanced material removal. 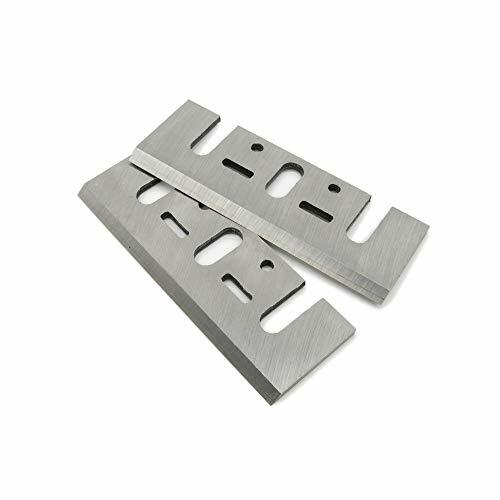 Our Diamond blade can be used as porcelain tile blade, ceramia tile blade, granite blade and other thin masonry blade. 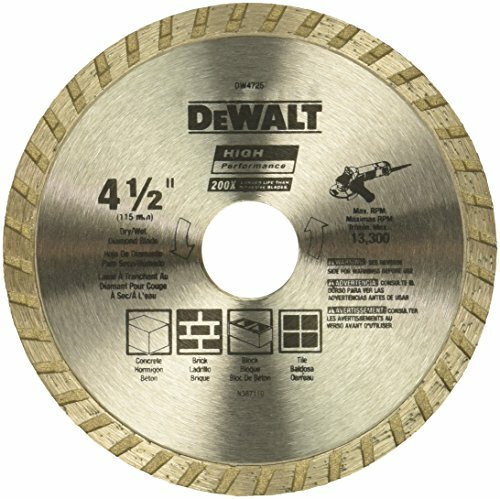 This 4in tile saw blade features a 3/8 diamond rim, can be used dry or wet, fits most tile saws and hand-held angle grinders with a 7/8 or 5/8 Arbor. 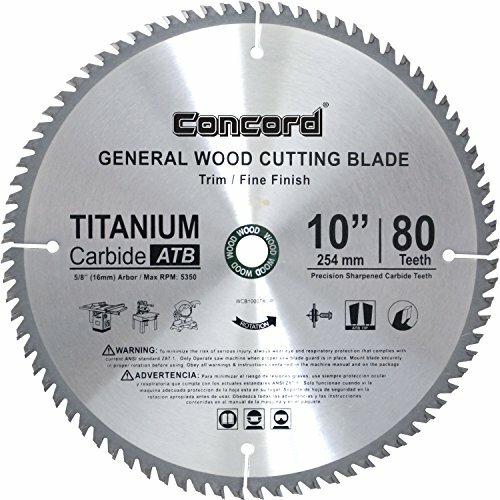 It is the ideal diamond saw blade for tile installer, general contractors, home made DIYers and tradesmen. What you will get: fast 4in diamond blade 1 pcs, lifetime warranty against warping, cracking and material defects, superior customer service. 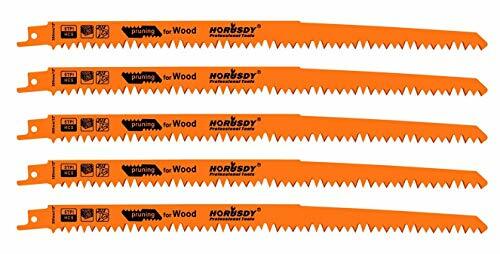 5 Pack 9-Inch Wood Pruning Reciprocating, 5 teeth per inch. Made of premium steel materials, more durable to use.All blades are twice as large as conventional blades. Great for curved work, like the inside of bowls, cutting discs, resin metal cutting wheels for plywood, melamine, wood, stone, metal, plastic cutting and fast waste removal. Fits For 4 (100mm) or 4-1/2 (115mm) Angle Grinder. Provides a secure grip for carving. Regardless of grain or knots the blade cuts through the material with ease to the user. Should the blade hit a nail or piece of wire in wood, on most occasions it will cut through the obstruction. If not, the impact will cause the chain to stop while the discs rotate giving the user a warning to stop the angle grinder. Contractor PRO Grade Reciprocating Saw Blade Package. We believe that the customer is #1 so we have created high quality products at highly affordable prices! *HCS:High Carbon Steel for fast wood cutting and pruning. 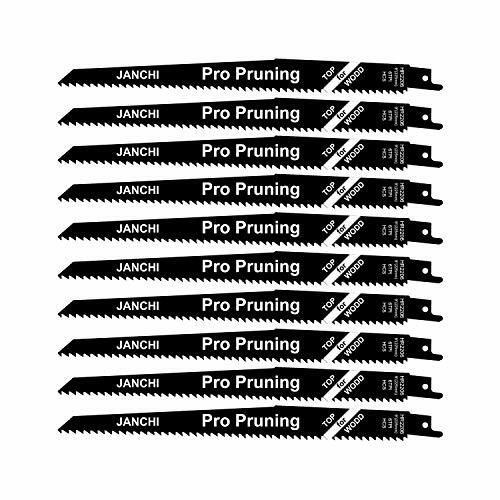 *Reciprocating saw pruning blades have reinforced teeth for increased durability. *The hook angle on the teeth creates an extremely aggressive, fast-cutting blade. *Tooth design utilizes sharper tooth geometry for faster cut rates. *Aggressive shank angle increases tooth contact, maintaining cutting speed as blade wears for longer blade life. *Taller high speed steel strip reduces breakage and maximizes tooth durability. *Specially formulated coating minimizes friction for smoother cuts. * Our sawzall blades are compatible with universal brands in the market, such as DeWalt, Makita, Ridgid, Milwaukee, Porter & Cable, Skil, Ryobi, Black & Decker, Bosch, Hitachi. INCLUDE 10-piece of 9-inch reciprocating saw blade set delivers fast, long lasting performance, 6 teeth per inch for fast and safety applications. 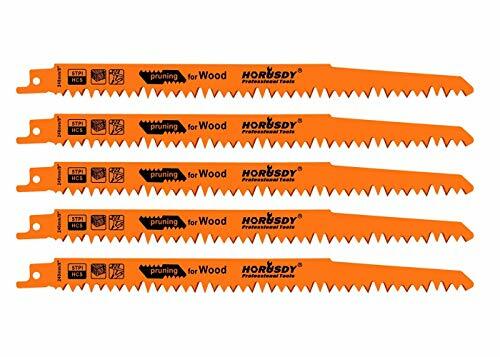 TOUGH Designed for pruning and wood cutting, precision-set teeth for faster, smoother cuts,suitable for outdoor fast rough cutting of wood and pruning, Coarse Wood[20-175mm],Fuel Wood[20-175mm], Wooden Panels, Construction Timber[20-175mm],Plywood and Plastic[20-175mm]. PROFESSIONAL At 1.4mm thick, the vibration of this blade is minimized allowing faster and more efficient cuts versus competitor's blades that have a thickness of 1.2mm. UNIVERSAL COMPATIBILITY Our sawzall blades are compatible with universal brands in the market, such as DeWalt, Makita, Ridgid, Milwaukee, Porter & Cable, Skil, Ryobi, Black & Decker, Bosch, Hitachi. TAROSE high-speed steel (HSS) blades are manufactured from high-quality HSS materials. After strict professional processing and quality control, each piece of "TAROSE high-speed steel (HSS) blades" has high sharpness, precision, and balance. Strict and tight tolerances ensure durability. "TAROSE high-speed steel (HSS) blades" are more rugged and durable than traditional products. Believe that "TAROSE high-speed steel (HSS) blade" will be an excellent choice for your work. Black & Decker: BD710, DN710, DN720, BD711, KW713, KW725, BD713, BD725. AEG: EH82, EH82-1, EH700, EH822, H750, H500, EH3-82, EH800, EH450. TAROSE Tungsten Carbide (TCT) blades are manufactured from high-quality TCT materials. After strict professional processing and quality control, each piece of "TAROSE Tungsten Carbide (TCT) blades" has high sharpness, precision, and balance. Strict and tight tolerances ensure durability. "TAROSE Tungsten Carbide (TCT) blades" are more rugged and durable than traditional products. Believe that "TAROSE Tungsten Carbide (TCT) blade" will be an excellent choice for your work. SIZE: Diameter 4.5", Segment Height 3/8", Inner hole 7/8"
4. Fits most tile saw and angle grinders with a 7/8" arbor. 13,200 RPM Max, Max, available for both dry and wet cutting work. 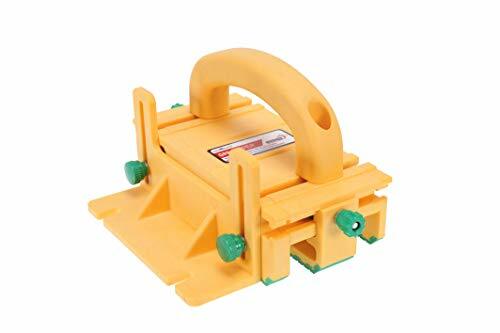 This 4 1/2 inch tile cutter blade features a 3/8 diamond rim, can be used dry or wet, fits most tile saws and hand-held angle grinders with a 7/8 Arbor. 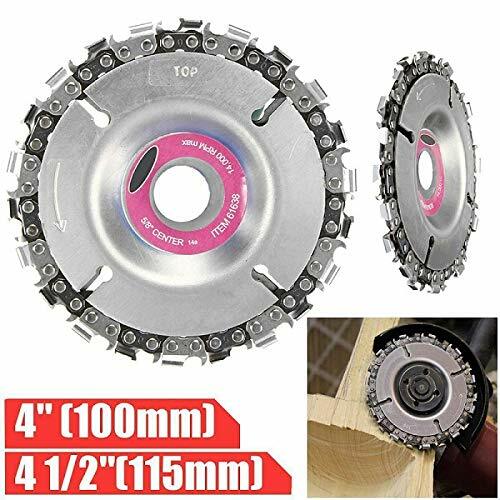 What you will get: fast 4 1/2 diamond blade 1 pcs, lifetime warranty against warping, cracking and material defects, superior customer service.